Home » Coast to coast » Cops must be disarmed! Police brutality may come in different forms, but its essence is always the same. 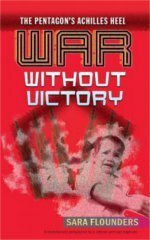 This atrocious epidemic is a lethal cog in the state-run repressive machinery in the capitalist system — a system of haves and have-nots, the oppressed vs. the oppressor, and workers vs. bosses. Police brutality is relentless and monstrous; therefore, it cannot be reformed under a system that depends on it for its very survival. People of color, especially Black and Brown, are bearing the heavy brunt of this brutality in overwhelmingly disproportionate numbers, especially the youth and young workers. According to the June 1 Guardian, an estimated 464 people were killed by the police in the U.S. from January through May 2015. According to those numbers, Black people were twice as likely as whites to be unarmed when killed by police — 32 percent vs. 15 percent. The numbers of Black people who are lucky enough to survive police attacks every minute of every day are immeasurable — no matter their age, gender, gender identity, ability, income or notoriety. This article raises three cases recently in the news that are prime examples of why the Black Lives Matter movement deserves broad solidarity and why the police must be disarmed. Tamir Rice, a 12-year-old African American, was fatally shot on Nov. 22, 2014, in a Cleveland park for the “crime” of carrying a toy BB gun. His shooting by Tim Loehmann, a white police officer, was captured on video camera. Rice’s 14-year-old sister — who attempted to come to his aid — was viciously thrown to the ground by the police while her brother was allowed to bleed to death. 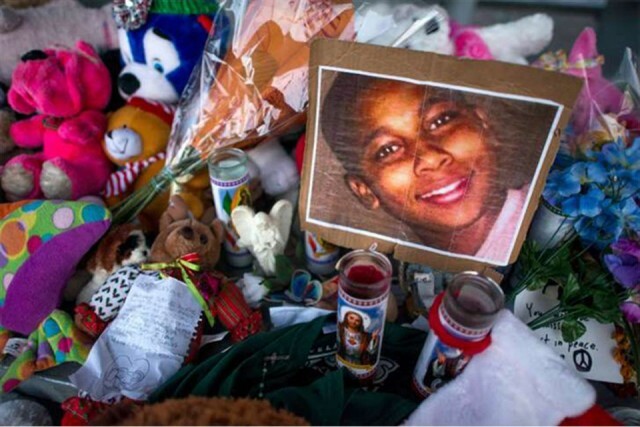 Tamir Rice’s name has been added to an all-too-long list of other Black victims whose lives were tragically cut short by police violence, including Michael Brown, Eric Garner, Sandra Bland and John Crawford III. The U.S. Justice Department has cited the Cleveland police for their use of “excessive” force, especially against Black people — and for good reason. Malissa Williams and Timothy Russell, an unarmed Black couple, were slaughtered in 2012 by nine Cleveland police officers who shot 137 bullets into their car. Their alleged crime? Running a stop light. Not one police officer was brought to justice. Many people expect another miscarriage of justice when it comes to the Rice case. Two separate reports, commissioned by Cuyahoga County Prosecutor Timothy J. McGinty, were released on Oct. 10, stating that Officer Loehmann was found to be “reasonable” when he fatally shot Rice. It is McGinty’s office that will ultimately decide whether charges will be brought against Loehmann when a grand jury finally convenes. The Rice family, their supporters and the Black Lives Matter movement have been in the streets and on social media for almost a year demanding the arrest and indictment of Loehmann and his partner, Frank Garmback, for Rice’s murder. The timing of these two reports, released by a Colorado prosecutor and a retired FBI supervisory special agent, is being viewed with suspicion by those seeking justice for Tamir Rice. Demonstrations resumed after the release of the two reports. Last April, Thabo Sefolosha, a forward with the National Basketball Association’s Atlanta Hawks, was viciously attacked by several New York police officers outside a nightclub. The police broke Sefolosha’s leg while he was trying to defend himself. This injury deprived him and his team of his talents, as he could not participate in the NBA playoffs. Sefolosha was arrested and charged with resisting arrest and disorderly conduct. The police tried to offer him a plea bargain, in which he would have to do one day of community service. But that would have been an admission of guilt. To his credit, Sefolosha chose to go to trial to clear his name, instead putting the New York Police Department on trial for brutality. A homeless man testified on his behalf, saying Sefolosha was offering him money before being attacked. A jury vindicated Sefolosha on Oct. 8 when they acquitted him. 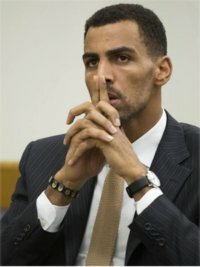 Jury members did not believe for one moment the police officers’ testimonies that they were justified in breaking Sefolosha’s leg because he was “menacing.” Sefolosha now has the option of bringing a civil suit against the NYPD. 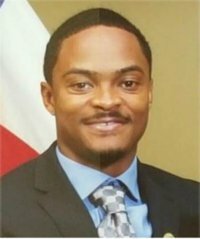 Jonathan Miller, a 26-year-old Black city councilperson in Prairie View, Texas, was Tasered outside his home on Oct. 8 by police when he came to the defense of his guests. The horrific incident was captured on a cell phone video. Police alleged that Miller’s guests were engaged in drug activities. Miller was arrested for resisting arrest and disorderly conduct. After being held overnight in Waller County Jail, he was released on Oct. 9. The police officers who carried out this senseless act belong to the same department that brutally arrested and jailed Sandra Bland, a 26-year-old Black woman, following a July 10 traffic stop. Her case made national news when just a few days after her arrest by Brian Encinia, a white male police officer, she was found hanging in her cell in the Waller County Jail. No one has been arrested or indicted for Bland’s death. Her family has filed a wrongful death lawsuit against Encinia and other local and county officials, stating that she should never have been arrested in the first place.